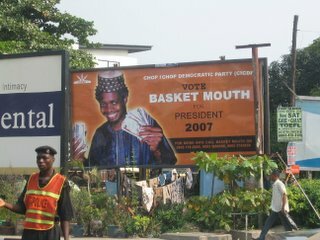 Basketmouth! This man was practically the only bright side to my rather somber visit to Lagos a year ago. I hope you got to see one of his stand-up sets - he's witty, socially-conscious and an absolutely authentic Naija. Abeg make im no joke wit my emotions - dis kain President go collect my vote wan time!